A key change in the UK’s housing market over the past twenty years has been the growth of the private rented sector (PRS), with more living in the sector than ever before. This growth has led to the view that there is now a ‘generation rent’ who are priced out of home ownership and stranded in insecure short-term lets for prolonged periods of their lives – fuelling concerns about intergenerational inequality. At a recent seminar, hosted by the Public Services and Governance research group at the University of Stirling, Dr Kim McKee, a co-investigator for The UK Collaborative Centre for Housing Research (CaCHE), presented the key findings from her research on ‘generation rent’ and precarity in the contemporary housing market. The UK 2011 Census highlighted that 40% of private renters were young people under the age of 35. With a challenging labour market, rising student debt and welfare reforms, home ownership and social housing is increasingly out of reach for these young people, who end up stuck private renting for much longer than the previous generation. It was noted by Dr McKee that there is a clear age dimension to the recent shifts in housing tenure, but that the ‘generation rent’ label is more complex than portrayed. Income and family support were emphasised as just as critical in the understanding of young people’s experiences and future plans, as was geography. Indeed, other research has highlighted that income and family background have a huge impact on young people’s housing market experiences. The Resolution Foundation’s recent report highlights that young people from wealthier families are more likely to become homeowners, suggesting that there are also intra-generational inequalities. Dr McKee’s study focused on the inequalities facing these young people through qualitative research with 16 young people aged 35 and under living in the PRS in Scotland or England. Those on low incomes were explicitly targeted with the aim of giving them a voice, which was considered to be largely absent in previous research. The fact that housing tenure was highlighted by respondents rather than housing type or location, as previous research has highlighted, suggests there is a general dissatisfaction with living in the PRS. Indeed, it was noted that the PRS was discussed largely negatively, perceived as the ‘tenure of last resort’. Despite the continued aspirations for home ownership, there was a marked difference between aspirations and expectations. There was a levelling down of expectations to own and a gap emerging between what the young people aspired to as their ideal and what they expected to achieve. A small minority even remarked that a more realistic goal may in fact be improvements in the PRS. The study showed that such expectations were due, mainly, to low earnings and insecure employment, combined with a lack of family financial support. While the short-term nature of private renting makes it a very flexible rental option, it also makes it insecure and precarious, creating barriers for tenants who want to settle into a home and community. This is particularly worrying for families with children, who can be greatly affected by the upheaval of having to regularly move. The study was particularly interested in the more intangible and emotional impacts on ‘generation rent’ and how the frustrations in realising their aspirations impacted negatively on their wellbeing. It was stressed that issues in the PRS are having serious negative impacts on the wellbeing of young people – insecure, expensive and poor quality housing are contributing to depression, stress and anxiety. Moreover, for those on the lowest incomes, such issues are even contributing to homelessness. Not only is mental wellbeing affected but their physical health has also been impacted by poor quality housing. Problems with rodents, damp and mould, broken white goods and poor quality accommodation in general were all reported by participants. The experiences of the young people in the study were described as a “sad reflection of housing in the UK today” and raises questions over whether the PRS can really meet the needs of low income groups in particular. Another key finding was that where people live really matters, not only because of the spatial nature of housing and labour markets, but also as tenancy rights and regulations vary across the UK. Recent reforms in Scotland have provided tenants with greater security of tenure and more predictable rent increases. England was highlighted as lagging behind the rest of the UK in terms of regulation and tenants’ rights as it lacks any national landlord registration scheme. Letting agent fees in England were also highlighted as a real issue in relation to affordability. It was suggested that the rest of the UK could learn much from the Scottish experience, although there is a need to go further, particularly in relation to affordability. A key message from the study was that security of tenure really matters for those living in the PRS but reform of the housing system can only go so far. Participants identified more affordable housing, more protection for renters and income inequalities as areas where the government could intervene to improve things. ensure greater understanding of intra-generational inequalities. If the wider inequalities within society are also addressed, perhaps the PRS could become an aspiration rather than the ‘tenure of last resort’. If you enjoyed reading this, you may also be interested in our previous posts on build to rent and meeting demand and improving data in the private rented sector. Follow us on Twitter to keep up to date with our latest blog posts and find out what topics are catching the eyes of our Research Officers. Tomorrow is the International Day of Older Persons, designated by the United Nations in order to recognise the important contributions made by older people, while raising awareness of the issues of ageing. Today there are around 600 million people aged 60 years and over world-wide. A number that is set to double by 2025 and reach 2 billion by 2050. With people living longer and healthier lives, it is not surprising older people are playing a considerably more active and increasingly important role in society. Not least when it comes to contributing to the care of their grandchildren. Kinship care – when children are brought up by relatives or family friends in the absence of their parents – has grown markedly in recent years. It is estimated that between 200,000 and 300,000 grandparents and other relatives are raising children who are unable to live with their parents. Common reasons cited for this include abuse and neglect, parental illness or disability, parental substance misuse, domestic violence or death of a parent. In examining the prevalence of kinship care, drawing on census data, a recent University of Bristol study found that there has been a 7% increase in the kinship child population in England since 2001 – more than three times that of the population growth rate of all children in England, which was 2% over the same time period. The study also found that one in two (51%) children were growing up in households headed by grandparents. With regard to the children in kinship care, research suggests that they do ‘significantly better than children in care’, both emotionally and academically. Indeed, a recent study on the educational outcomes of looked after children found that children in long-term foster or kinship care made better progress than children in other care settings. The largest kinship carer survey in the UK, conducted by Family Rights Group, also highlights the effectiveness of kinship care in preventing children entering or remaining within the care system, to the benefit of both the child and the public purse. The data found that 56% of children had come to live with the kinship carer straight from the parents’ home, with 27% having been in unrelated foster care. The caring contribution of grandparents has also been shown to have made a material difference to maternal rates of employment. And as 95% of children being raised in kinship care are not officially ‘looked after’, billions of pounds are saved each year on care costs. But while benefiting the public purse, and despite evidence that kinship children have better outcomes, many kinship families face a financial burden. The University of Bristol study found that 40% of all children in kinship care in England were living in households located in the 20% of the poorest areas in England (an improvement of only 4% since 2001), and three quarters (76%) of kinship children were living in a deprived household. As there is no statutory requirement for local authorities to make provision for kinship carers and no automatic right to child benefit, many receive no formal support; leading to financial hardship, and the stress that comes with it. Many kinship carers have had to give up work or reduce their working hours, either permanently or temporarily. And this is often their main source of income. A study from Grandparents Plus on discrimination against kinship carers found that of the 77% of grandparents that have asked for professional help, only 33% received the help they needed. And 30% said they didn’t receive any support at all. The study also found that, overall, kinship carers score ‘significantly below average’ when it comes to their wellbeing. Other recent research has suggested that regular and occasional care for grandchildren can impact on the mental health of grandparents. The findings indicated that ten additional hours of childcare per month increases the probability of developing depressive symptoms by 3.0 and 3.2 percentage point for grandmothers and 5.4 to 5.9 percentage points for grandfathers. Policies that substitute informal with formal childcare, it argued, could improve the mental wellbeing of grandparents. It is clear that grandparents play an increasingly vital role in family life. But it seems this role is in need of greater recognition and support, if society is to continue to benefit from this ‘hidden army’ of kinship carers. If you enjoyed reading this, you may also be interested in our previous blog on the economic opportunities of an ageing society, published on last year’s International Day of Older Persons. In this guest blog post, Dr Paul Cowie from the University of Newcastle reflects on an exciting year for the Town Meeting project, which uses theatre to engage communities in planning. It’s now a year since we started the Town Meeting project and 7 months since the project won the Sir Peter Hall Award for Wider Engagement at the 2015 RTPI Research Excellence awards. The Town Meeting uses theatre as a way of co-producing research into public participation in planning with communities themselves. The Town Meeting has been performed in 12 communities across the north of England. The use of theatre in this way is unique and has engaged audiences in the issues in a way that traditional forms of research cannot. If you are interested to find out more about the project and the play, we have written a blog about it here and produced a ‘behind the scenes’ podcast about the development process here. One of the major impacts of winning the award has been to develop the credibility of the project with both professionals and funders. The initial phase of the research was all about understanding the issues in more detail. We’ve now had a chance to do that and the second phase of the project has been to try to change planning practice to address some of the concerns raised by the participants in the project. To undertake this new phase of the project we have been fortunate to get funding from the ESRC Impact Accelerator Account scheme and Newcastle Institute for Social Renewal. Having the research recognised by a professional body, the RTPI, through the Research Excellence Awards was invaluable in making the case for further funding. The new phase of the project aims to take the lessons learnt from the play and turn that into a tool which planners can use to co-produce knowledge which can inform strategic planning. So far we have worked with health professionals and planners to explore how planning and health can be reunited. In the workshop, health professionals and planners were presented with a proposal to build a super-casino in a run-down seaside town. The play provided a forum for the planners and health professionals to discuss the wider implications of development proposals in a new way. The event highlighted the lack of understanding that health professionals have of the planning system. It’s often felt that planning can be the solution to many problems but it has been clear from the project how little citizens and professionals alike understand the process of planning and its limitations. We are now about to start working with Northumberland National Park Authority to assist in the development of their new local plan. Through a new version of the play it is hoped communities can understand the importance of the local plan in framing any later planning decision that may affect them. Previous performances of the play and discussions with audiences have made it clear people only get involved in planning issues at the point when it’s often too late to have any meaningful impact on that decision. The paradox is that at the point at which they can make a meaningful difference, the preparation of the local plan, it is often difficult for communities to see the relevance to them. Using a play as a tool in collaborative planning can therefore turn the abstract process of preparing a local plan into something meaningful by showing how it has a direct impact on later planning decisions which may affect them greatly. The play also allows the community the freedom to create a vision for their local area, in this case the National Park. Gaining the trust of planners from the National Park was helped greatly by the award. There is a degree of risk on their part in taking on this untested, and some may say frivolous, method of plan production. The award has given the planners the confidence to take that risk. We are hopeful that the next year will lead to some concrete outcomes for the project, and to the play making a meaningful difference to the way communities and planners co-produce knowledge about places that matter to them. At a recent performance of the play in Cockermouth, the ‘Blennerhasset Village Parliament’ was mentioned. I had not heard of this and asking around the department, neither had any of my colleagues. Started in 1866 as a way involving the whole population in the governance of the community, the village parliament was an example of community governance in the 19th Century. It was a reminder that sometimes we think we are being innovative when in fact we are merely repeating history – and of the fundamental value of engaging people in the process of research. Dr Paul Cowie is a Research Assistant in the School of Architecture, Planning and Landscape at the University of Newcastle. Paul’s research focuses on community planning and community representation in the planning process. In 2015, Paul and his project The Town Meeting won the Sir Peter Hall Award for Wider Engagement at the RTPI Awards for Research Excellence. This year, the Idox Information Service will again be sponsoring the RTPI Sir Peter Hall Award for Wider Engagement, as well as the Student and Planning Consultancy Awards. The closing date for applications to the awards is 31 May 2016. Further information and application forms are available here. With public sector austerity and the integration of health and social care, it seems as though the need for access to evidence-based policy and practice has never been stronger. Initiatives such as those from the Alliance for Useful Evidence, most recently its practice guide to using research evidence, have highlighted the importance of using trusted sources rather than “haphazard online searches”. One of these resources is Social Policy and Practice, a database which we have contributed to for twelve years. A recent article in CILIP Update has explored the background to the Social Policy and Practice database, and its contribution to ensuring the inclusion of grey literature and a UK-perspective within systematic reviews. Update is the leading publication for the library, information and knowledge management community and they’ve given us permission to share this article with our blog readers. We’ve written before about the value of UK-produced databases within a global publishing context. The CILIP Update article makes the point that when conducting any search for evidence, it’s important to look beyond the major databases to more specialist collections, to source grey literature and to look beyond geographical borders. This was one of the major drivers in 2003, when the heads of the Centre for Policy on Ageing, the Greater London Authority, Idox Information Service, National Children’s Bureau and Social Care Institute for Excellence agreed to pool their resources and create the first national social science database embracing social care, social policy, social services, and public policy. The proposal was met with great enthusiasm by the sector which recognised a gap in provision. The new Social Policy and Practice database was launched in November 2004. Bringing together these organisations was relatively simple. They were all striving to provide evidence and information to their staff, members or customers. They all also had a professional drive to share their focused collections with the wider world of researchers and to influence policy and practice. Through developing best practice and troubleshooting problems together, we have improved not only the Social Policy and Practice database for users but also improved our own individual collections. All whilst remaining independent and focused on our individual specialities. The NSPCC joined the database consortium in 2015, bringing its collection of resources focused on child abuse, child neglect and child protection. The NSPCC library is Europe’s largest collection of publications dedicated to safeguarding children. It includes journal articles, books, academic papers, leaflets, reports, audio-visual material, websites and digital media on all subjects that help researchers, policy makes and practitioners protect children from abuse and neglect. Social Policy and Practice now boasts over 400,000 references to papers, books and reports and about 30% of the total content is grey literature. Social Policy and Practice has been identified by the National Institute for Health and Care Excellence (NICE) as a key resource for those involved in research into health and social care. We’re proud to be contributing to the knowledge base for social research, policy and practice! What is Reablement in healthcare and how is it done? Reablement, or enablement is the process of rehabilitating people to allow them to regain some or all of their independence. Often promoted as a form of intermediary care, reablement programmes are recommended for patients who have had a stay in hospital, in order to reduce dependence on the local social care system or traditional ‘care at home’ programmes. They often result in longer periods of one-to-one contact than ‘care at home’ programmes – trained professionals work with patients and their family to encourage and promote the achievement of personal goals. It also provides an intermediary stage between health care and social care, which can help the patient transition. Effective reablement programmes are an example of health and social care bodies working together to deliver holistic, person-centred care. 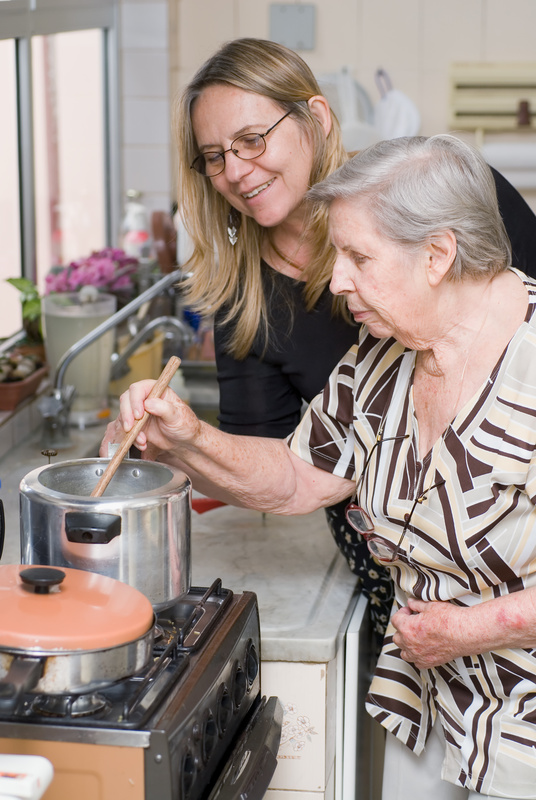 What makes an effective reablement programme? Reablement programmes cover a range of everyday tasks such as how to tackle stairs, how to wash and dress and how to prepare and cook meals. It encourages service users to develop the confidence and skills to carry out these activities themselves in order to continue to live at home. The programmes are planned and delivered by trained reablement professionals – they involve home care staff working in tandem with physiotherapists, occupational therapists and other health professionals. good quality assessment by a practitioner with the right skills and abilities to determine an effective programme. Research has shown that these intensive programmes are effective. A 2007 study for the Department of Health’s Care Services Efficiency Delivery Network found that up to 68% of people no longer needed a home care package after a period of reablement, and up to 48% continued not to need home care two years later. Almost all of England’s councils are planning, implementing or running a reablement service. One driver is that it is seen as a tool for managing the costs of an ageing population. 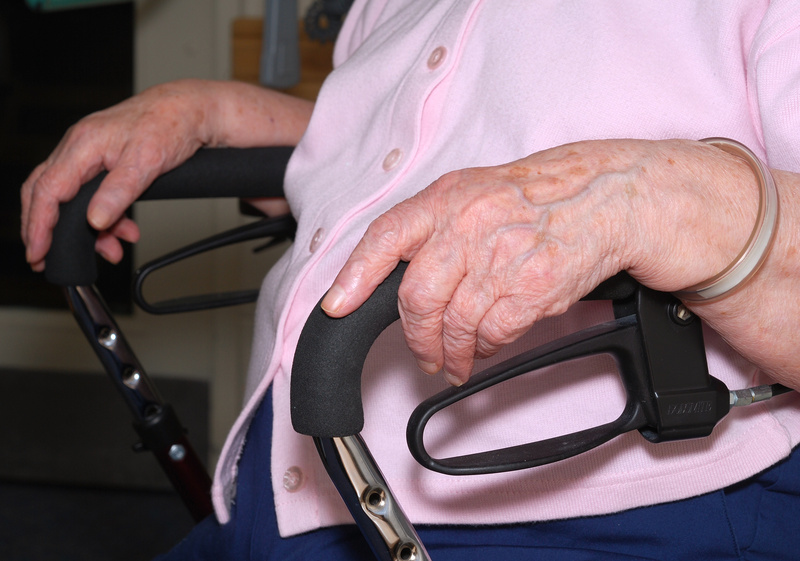 In the UK, reablement programmes usually last for 6 weeks, at which time care is either passed to a social worker, adult social care team, or patients are asked to pay for the continuation of the programme themselves. Reablement has been criticised as expensive, and time- and resource-intensive. Like any service working with vulnerable people, it can also be difficult to demonstrate value as there are differing success rates for different patients. However, interviews conducted with people who have received reablement packages have suggested the emotional and long term benefits are significant as are potential savings to care budgets in the future. This is especially the case in terms of the cost of readmission to hospital, which studies have found is reduced in cases where people received effective reablement care. The local authority in Croydon was recognised in 2013 for its work in promoting and expanding reablement practices. They also developed a programme of pre-ablement, which saw training delivered to vulnerable people before they became unable to carry out tasks. By showing them alternative ways to do tasks, they were able to change things before being forced to. This preventative approach worked within the local authority and is something which could be considered more widely as pressure increases on local authority funding and care capacity. There is a growing consensus that properly funded and effective preventative services, such as reablement, can deliver cost-savings to health and social care services, as well as improving the lives of patients. Social prescribing – just what the doctor ordered? One of our most popular member briefings has been our 2014 introduction to co-production in public services. In fact, it was so popular that we made it freely available to download from our website. For those who don’t know, co-production is an approach to improving or developing services by working collaboratively with the people who use those services. It has become increasingly popular within many types of public services in the UK, but especially in health and social care. Co-evaluation (of services) – assessment of the outcomes and whether they have been successful for all parties involved. Co-production is now a key part of the implementation of health and social care strategy across the UK. It provides service users with an input on which elements of services are of most use, and which could be altered to make them more effective – particularly important at a time when local authorities are under pressure to deliver more efficient and cost-effective services. Co-production relates to other strategic priorities such as prevention, wellbeing, a focus on outcomes and the personalisation agenda. It allows people who use services to have a direct input into the design of care services and care plans, so as to create more effective programmes of care. Implementing co-production can be a difficult transition and requires a whole system approach to change. This means that organisations, such as local authorities, must adopt change at every level to encourage meaningful participation and to embed co-production in day-to-day practices. 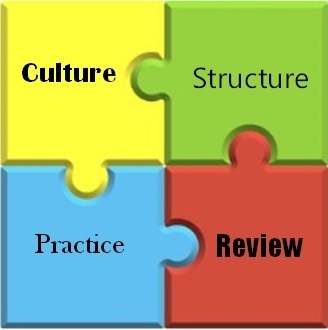 The SCIE co-production guidance uses a jigsaw model for management of change which may be a helpful way to identify the elements of an organisation which must be altered to effectively incorporate co production. The project PRESENT is a joint initiative between East Dunbartonshire Council, the local Dementia Network, the Joint Improvement Team and Governance International, which uses co-production to engage people with dementia and enable dementia sufferers to make a positive contribution to their communities. Islington Council has developed a Framework for Involvement in Adult Social Care to provide a solid base for co-production that is accessible, inclusive and has impact. The council worked with people who use services and carers to produce the Framework. Local statutory and voluntary sector organisations, including the Making it Real Experts by Experience and Project Team, and Healthwatch Islington, were also involved. A report produced in 2013 by the Scottish Co-production Network, Governance International, the Scottish Joint Improvement Team and the Social Care Alliance, also provided comparisons between the approaches to co-production in social care between Scotland and Sweden. These are just a few examples of innovative practice, more of which can be found on the SCIE website. Co-production has the potential to transform the way social care is delivered in the UK. However, implementing co-production approaches into existing organisations, with their own culture, structures and operating procedures, as well as their own expectations about services and how they should be created and delivered, remains a challenge for commissioners, the third and private sectors, politicians and the public. In order to be successful and to produce sustainable and effective relationships, total change will be required and it will take a huge commitment and long term vision to ensure its success. Once implemented, though, it is clear that co-production has the potential to contribute greatly to prevention, personalisation and outcomes-focused service delivery – which are all key agendas in the current health and social care policy climate. Health inequalities have long been an issue in the UK and despite continuous government commitment to tackling them, they continue to persist. It is estimated that avoidable illness costs around £60 billion and that 1 in 4 deaths are preventable with the adoption of healthier lifestyles. Calls have therefore been made for radical changes in the approach to public health by improving health and wellbeing outside of the core public health workforce. This is just the approach of the Community Health Champion model, developed by Altogether Better, which has demonstrated not only the positive impact on health but the social value of such an approach. Health Champions are volunteers from all walks of life who are provided with accredited training and support so they can undertake health promotion activities within their communities to reduce health inequalities and improve the health of the local population. The Community Health Champion role began as a five year Big Lottery Funded programme (Wellbeing 1) in 2008. Over 18,000 Health Champions were recruited, trained and supported between 2008 and 2012, reaching over 105,000 people. Through a combination of their training and own personal experiences, these volunteers empower and encourage people within their families, communities and workplaces to take up healthy activities, create groups to meet local needs and can signpost people to relevant support and services. While Wellbeing 1 succeeded in reaching many people in need, the programme also raised two specific challenges: in almost all cases, the work being done was invisible to the NHS; and securing ongoing funding to continue the support was difficult. Peer support was later identified as the most appropriate way of trying to connect communities with health services. Following this recognition and the success of the original model, further lottery funding was awarded to develop the Champion model and use it to engage champions, communities and health services (Wellbeing 2). The model was applied to health services specifically with the aim of addressing the apparent disconnect between the NHS and community-based services. It helps connect both patients with support in their communities and professional practices with those communities. Community-based health improvement initiatives such as this could help to strengthen community-professional partnerships and cross-collaboration among health, social and other services. And this in turn could lead to a reduction in health inequalities. 95% of practice staff involved with the programme would recommend it and wish to continue. Success stories include the work of a cycle champion who has improved her own health and wellbeing, encouraged over 70 other people to improve theirs through taking up cycling, provided cycle training to over 50 people in 6 community groups and provided specific detailed help to 5 people. Other successes have involved volunteers setting up football training, providing support to women with mental health issues, providing advice and support to ethnic minorities and providing advice on healthy eating. In terms of monetary value, an analysis of the social return on investment (SROI) of a series of Altogether Better project beneficiaries found a positive SROI of between £0.79 and £112.42 for every pound invested, highlighting the potential value of these initiatives to funders. At a time of increasing demands on health services and with the relentless squeeze on public sector resources, perhaps the move towards greater community empowerment and collaboration across sectors is the right one. After all, as I’m sure we’d all agree, prevention is better than cure. 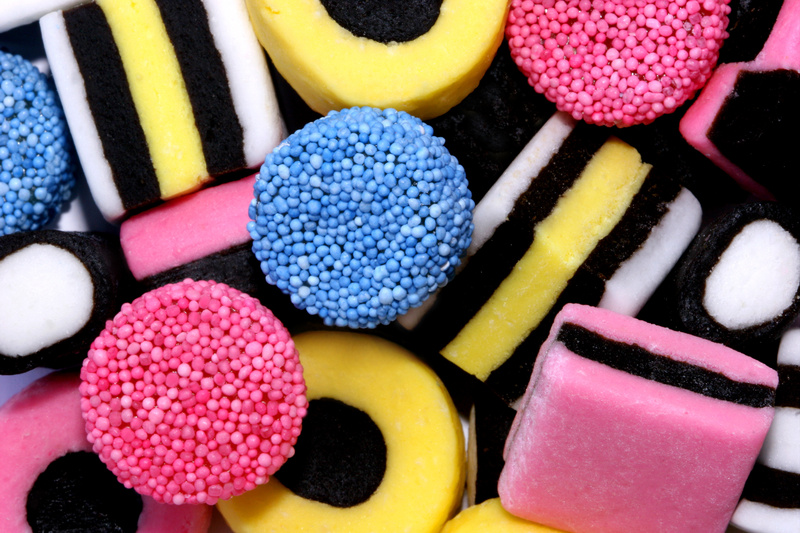 Should the UK introduce a tax on sugar? Recent months have seen two enquiries to our Ask a Researcher service for evidence on sugar consumption in the UK. Namely: should this be taxed? Sugar has become somewhat of a villain in the UK, with magazine articles, research and governments all telling us that we should be greatly reducing, or even eradicating completely, our consumption of added sugars in particular. The week beginning 30th of November even saw the first National Sugar Awareness Week, part of a campaign to encourage the government to establish a sugar reduction programme in the UK. However, is a ‘sugar tax’ really necessary? Sugar consumption: a public health issue? According to the Royal Society for Public Health (RSPH), absolutely. Last month, they published a review of how to tackle obesity in the UK, which included the introduction of a sugar tax. The report notes that, according to the latest forecasts, half of all adults in the UK are expected to be classed as obese by 2050. Key to reversing this trend, it is argued, is to tackle issues around diet and nutrition among children, who are now spending double the amount of time per day in front of screens than children in 1995 (something that has been shown to increase cravings for food and drink, but not for nutritionally sound items). Alongside other developed nations, the UK is also seeing an ever increasing rate of consumption of high-sugar carbonated drinks. While the RSPH recommends placing restrictions, or ending, the use of advertising and sponsorship by junk food and drinks companies around family and sporting events, it also argues that this is not enough to tackle the country’s obesity problem. The RSPH supports the introduction of a tax on sugary drinks of 20%, or 20p per litre. Their report highlights evidence which suggests that this could prevent or delay around 200,000 cases of obesity per year, and points to the experience of Mexico, who introduced a tax of 10% at the start of 2014. During that year, sales of sugary drinks declined by 6% overall, and by 9% among those living in the most deprived areas of the country (the demographic group most likely to be obese). What does the government think? This, combined with a range of other measures, it is argued, could save the NHS £500 million per year. The PHE recommendation was also supported by the House of Commons Health Committee, in their recently published Childhood obesity – brave and bold action report. Having heard evidence from parties including Sustain and Jamie Oliver, a key figure in the campaign for the introduction of a sugar tax, the Committee recommended that such a levy should be introduced at 20%, in order to achieve maximum impact. The Prime Minister, however, is still not convinced, stating that he believes there are “more effective” ways of tackling obesity. The government is due to publish a strategy on childhood obesity in the New Year. According to a review of using price policies such as these to promote healthier diets by the World Health Organization, food pricing policies are feasible, and can influence consumption and purchasing patterns as intended, with a significant impact on important dietary and health-related behaviour. Crucially, however, the same review notes a lack of formal evaluation in this area. A report published earlier this year by the activist group Taxpayers’ Union of New Zealand, Fizzed out: why a sugar tax won’t curb obesity, questioned the validity of nutrition related taxes. Reviewing the experience of Mexico, they suggested that the reduction in consumption of sugary drinks following the introduction of an excise tax of one peso per litre in January 2014 had been overplayed. It’s also the case that the Danish tax on saturated fats was repealed by the government after only one year. This was due to a number of economic impacts that quickly became apparent after the tax was implemented, and resulted in plans for similar taxes to be abandoned. In fact, fat consumption in Denmark has been on a downward trend for some time now, therefore no tax incentive was required. And according to the Danish minister of finance, “to tax food for public health reasons [is] misguided at best and may be counter‐productive at worst”. Whether the UK Prime Minister will be swayed on this matter remains to be seen. It’s likely that a ‘sugar tax’ will continue to be deemed too politically sensitive to introduce, especially as one in five people continue to live below the poverty line. Child obesity: public health or child protection issue? Our latest member briefing focuses on increasing participation in sport and physical activity in the UK, looking at successful examples of increasing activity and ways in which policymakers are trying to overcome the barriers to participation in sport and physical exercise. You can download the briefing for free from the Knowledge Exchange publications page. Physical activity levels vary by household income; in England in 2012, 76% of men in the highest income quintile reached recommended levels, compared to 55% of men in the lowest income quintile. Low levels of physical activity not only have health implications, but also economic – in the UK, inactivity has been estimated to cost the NHS £1.1billion (Allender, 2007) with indirect costs to society bringing this cost to a total of £8.2billion. Our briefing highlights the range of policies and interventions implemented by the UK and devolved governments to try and increase participation in sport and physical activity among the population. 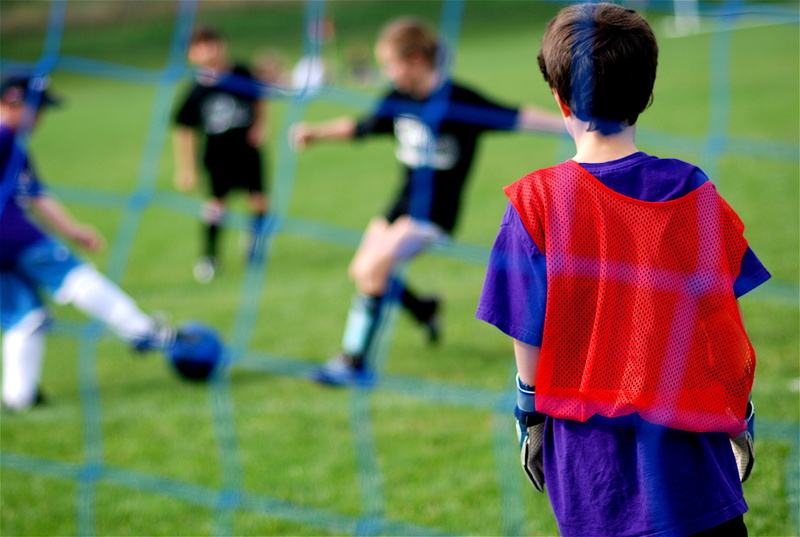 These include the Department of Education’s £150m per year Primary PE and Sport Premium Fund; and Scotland’s sport strategy for children and young people, Giving Children and Young People a Sporting Chance. In addition, the briefing profiles successful interventions at the community level, such as Let’s Get Fizzical, a physical activity programme for young people delivered by StreetGames in collaboration with Birmingham City Council. International examples of good practice are also highlighted, including the Active Healthy Kids Canada programme and the North Karelia Project in Finland. The Knowledge Exchange specialises in public and social policy. To get a flavour of the commentary it offers, please explore our publications page on the Knowledge Exchange website. To find out more on how to become a member, contact us.